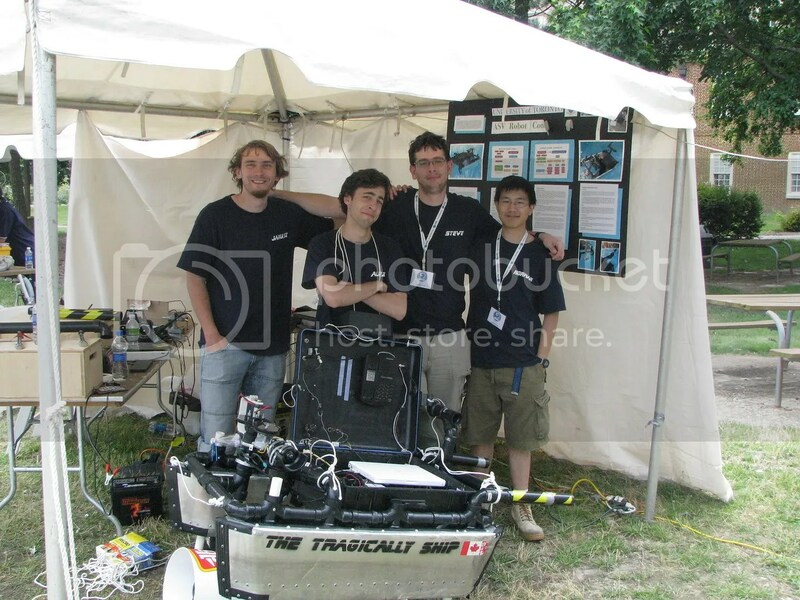 So the major project that I have been involved in recently was working on an autonomous surface vehicle (ASV) that was entered in AUVSI’s 2009 ASV competition. Given a small team (6 people, 2 builders), under $1000, and about 30 days we built what would be considered a feat of bodging and hacks based on extreme ingenuity and resourcefulness. Note that of the four people in the photo above, it consists of (from left to right) a comp sci masters student on exchange, a political science student, a broadcast technician, and a chemistry/biology student.